Blue skies. Festive outfits. A windmill. Accordion songs. 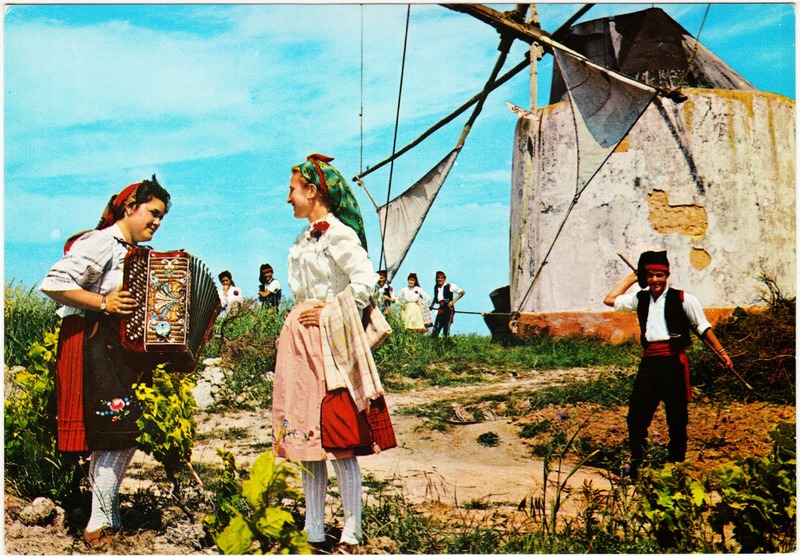 What more could want than the lifestyle portrayed in this postcard from the former Ribatejo Province of central Portugal? 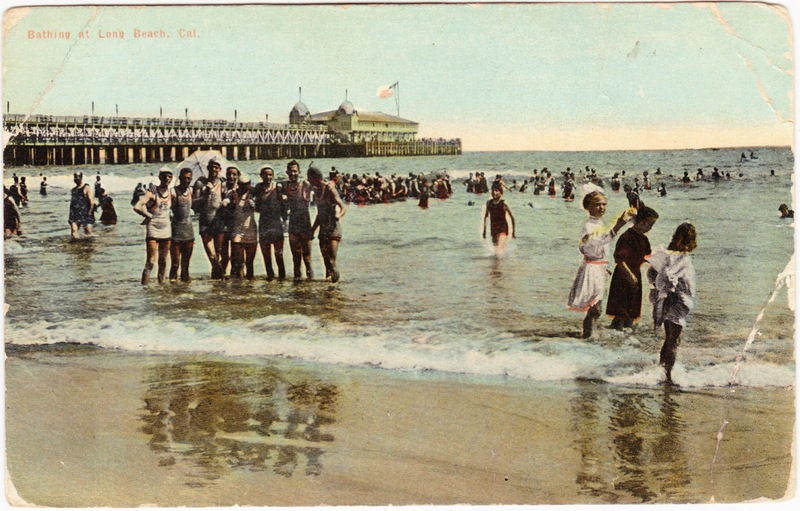 There many smiles on the faces of those enjoying the surf in this vintage and worn Americhrome postcard. The note on the back states: "Dear Jim. Received your postal ok. What kind of a tire did you get for the Bike. Write a long long long letter. Edward Wagstaff."